We had some leftover cold coffee from a pot we made and forgot about, so I froze it in an ice cube tray. 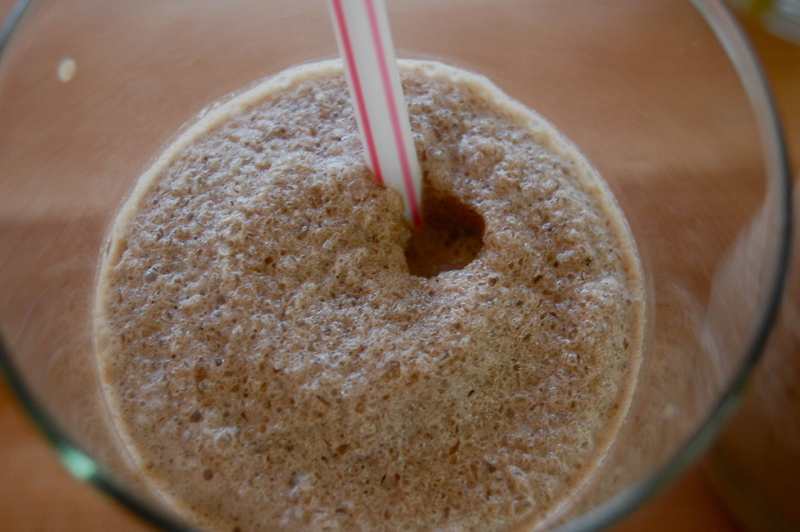 The water here tastes nasty without a filter, and we don’t have a filter for our freezer ice maker yet, so we pretty much can’t make any frozen drinks with ice or it will have a funky taste. 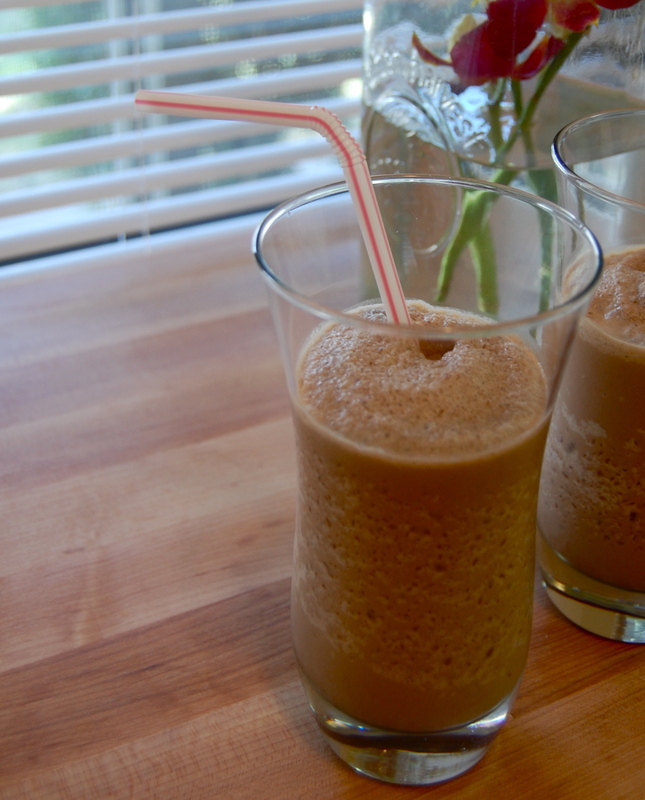 Enter, frozen coffee cubes. So easy. So cheap. So wonderful. Or maybe I’m just easily impressed. But I already want another one. I kind of just made it up as I went along and tossed stuff in, so these “measurements” (ha) are approximate. 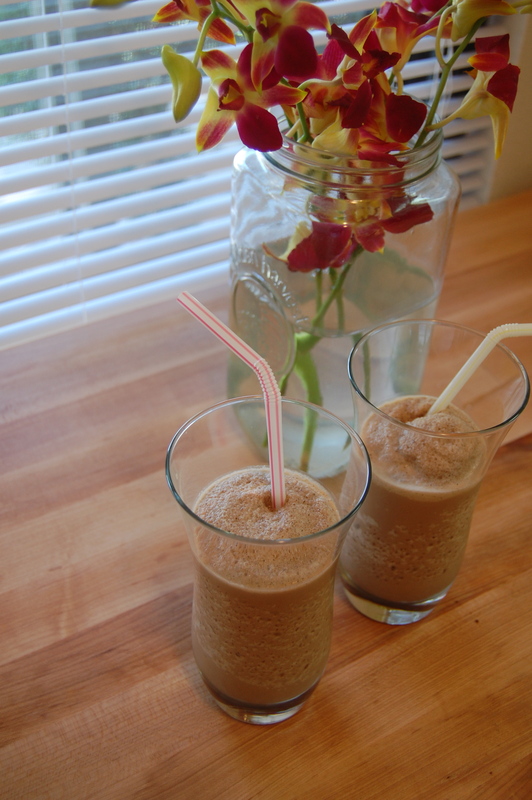 Empty frozen coffee cubes into a blender or food processor. I’ve already got another set of coffee ice cubes in the works from a pot of coffee I made solely for that purpose. My name is Hannah, and I might have a new favorite drink.